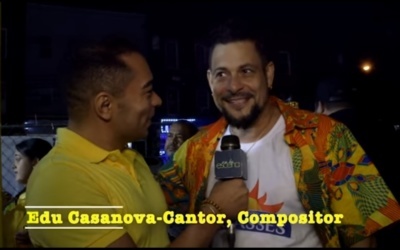 As part of Brazil Week Newark, Host and Reporter George Roberts of En La Escena Brasil, interviews various artists performing in Newark., part of the Lavagem Da Rua 46 Celebration. This week he interviews Edu Casanova, singer and composer from Bahia. Influenced by her latin background, culture and keen eye for design, each collection incorporates a wonderful mix of vibrant colors and prints.